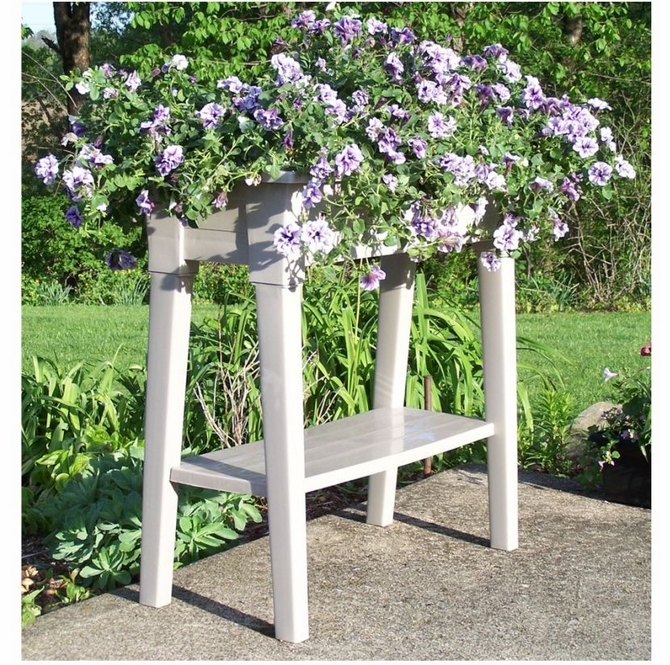 Planter with legs. Adams resin garden planter. Anglo American Distributors. Adams strong and sturdy deluxe garden planter performs well in strong winds and is rated to hold 68kgs (150 lbs) in weight. The shelf alone is rated to hold 6kgs (15 lbs). 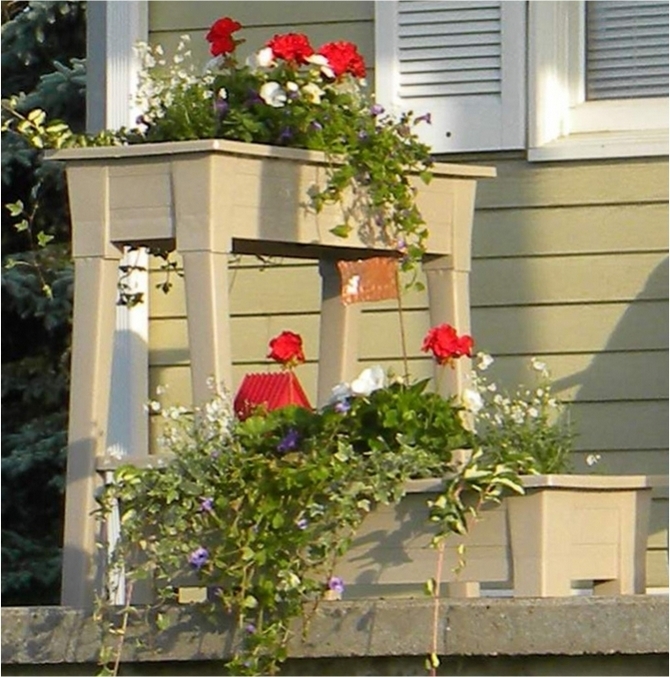 It is the ideal way to add colour to the deck or patio and the most comfortable way to garden. Easy on your back and knees, it allows you to create gardens in apartments and other locations where space is at a premium. Useful for the elderly and disabled gardeners. 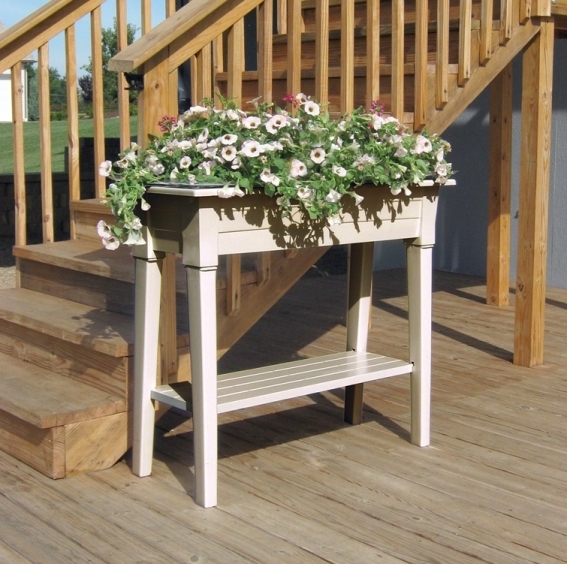 Stronger than typical planters, the Adams planter will not rust, rot or peel and is 100% maintenance free. It is constructed of durable Polypropylene and UV-protected to maintain its colour and includes a plug for easy drainage. 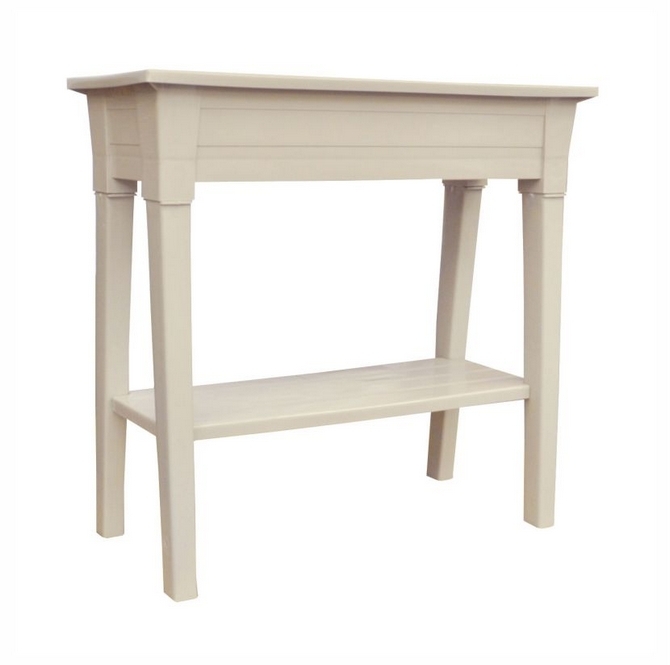 This raised planter with shelf weighs 5.79 kgs (12.74lbs) and measures L92 x W40 x H87 cms (L36 x W15.5 x H34ins) and is easily assembled in a couple of minutes.